Today, we have a guest blog from Emily Hunter on the importance of forecasting and budgeting when making smart financial and HR decisions in planning a successful business model. There are countless aspects to running a successful enterprise, and forecasting and budgeting are amongst the most important. Without a proper focus on these aspects, a business can easily spend too much money, make errors in hiring and have different departments in a company working toward competing goals. 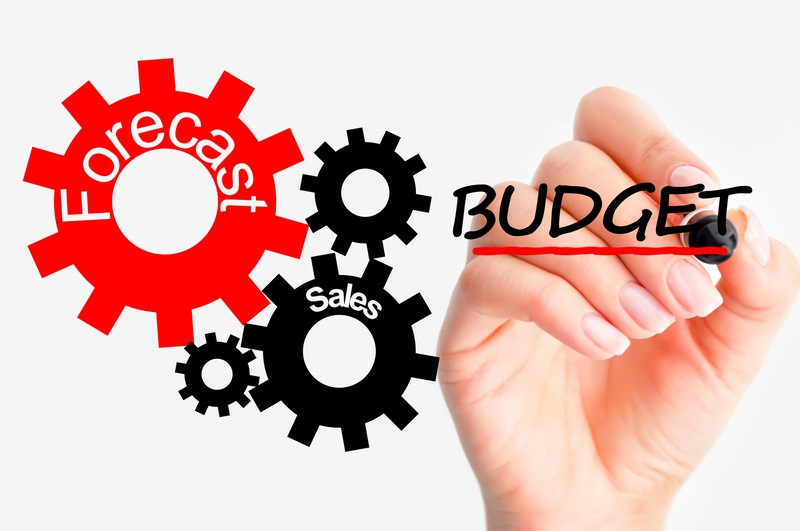 Let’s take a look at some of the more important reasons that budgeting and forecasts are so vital to keeping your business in sync. One mishap or emergency can sometimes spell disaster for the entire company. Being ill-prepared for these events can result in a company going out of business or, best-case scenario, having a long run of unprofitable months. This is where budgeting and forecasting models are so essential. Though a time may never come when a contingency plan is necessary, having one in place is still important. Forecasting potential issues can help a company stay afloat if, for instance, a top producer in the corporation departs. Having a financial plan set up to keep a company going strong in this instance, and in many others, prevents any one department, individual or another aspect of a company from being the only thing keeping it successful. Some companies hire an overabundance of new employees with the idea that they’ll need them in the long run. This can be an unfortunate decision if proper budgeting and forecasting solutions aren’t implemented. Discovering that unnecessary resources are being spent can sometimes result in angry former employees and increased unemployment insurance costs. Fortunately, enterprise resource planning (ERP) solutions can help in this situation. Because these types of tools allow multiple departments to simultaneously access information and data related to inventory management, product planning, marketing and a variety of other aspects, it’s easier to forecast staffing needs instead of making pointless hires. In the end, this can save untold expenditures in training and other human resources expenses. Operational plans are essential to forecasting projected income for a corporation. Making them more efficient is a great way to improve budgeting and forecasts, and thus be prepared for events which could impact a company’s progress. Creating these plans is much easier and produces better results when cash flow statements and balance sheets are integrated between all departments. Effective budgeting and forecasting tools can also ensure that collaborative projects run much more smoothly and efficiently at any company. Simply imagine an individual ordering inventory without realizing that another employee has just made a huge sale that will diminish much that is on hand. Similarly, someone focusing solely on inventory without realizing that the approaching month’s sales will be slower can result in overstock. ERP software can go a long way to prevent such mistakes from occurring. All employees who would benefit from access to the forecast model can be added to the shared permissions for any collaborative sections. This allows for more cooperative human resources; when each employee knows the full circle of their tasks, it is less likely that costly mistakes will be made. There are not many aspects of a company that the elements of forecasting and budgeting do not directly affect. Because of this, an ERP software solution containing these elements is certainly amongst the best software investment a budding entrepreneur can include in their budget. The aforementioned benefits are just a small sampling of what a successful budgeting and forecasting model can do to ensure your company’s ultimate success.